The annual Hawaii State Slalom Championships were held this past weekend at Kanaha Beach Park, on Maui. 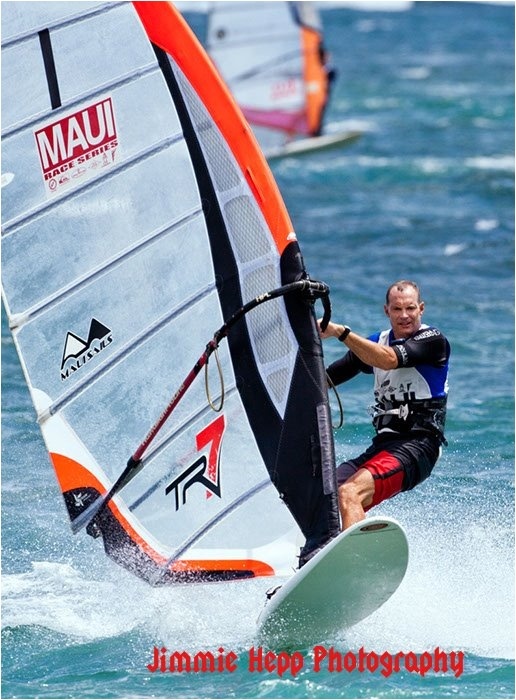 Maui is the location for the state Championship because of the blistering trade winds and perfect slalom conditions; hence people travel from the other Islands and overseas to compete in this exciting event. Leading the Charge this weekend was current State Champion Phil McGain, who started off the morning races with four bullets in the men’s 40-49 age group. Carrying his TR-7 7.0 McGain was hitting his starts perfectly and used his board speed and control to open up big leads in all of his heats. 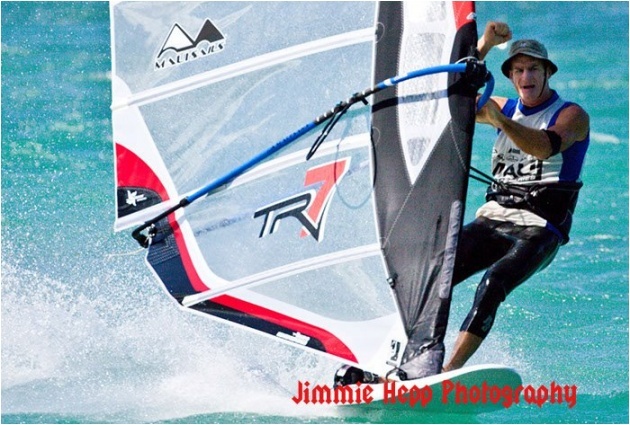 Peter Slate followed in second, with another MauiSails rider Elon Wong coming in third place. Mike Yasak who has been having phenomenal year easily won the Men’s 50-59 age group, after recovering from an over early in the first heat, came away with 2 bullets and a second to WIN over Matt Daniels with Sam Bockius in third flying his TR-7 6.3 in all of the heats. In the women’s Open Tamara Bockius fresh from her National Championship win a few weeks ago was able to put together a bunch of seconds to be runner-up to Argentina Jimenez who was on form today winning the women’s division, third place was Nicki Vetromile also flying around on his MauiSails. In the afternoon the all important Men’s Pro heats were to start with a stacked field of top competitors who were gunning for the Championship of the day. It looked like Phil McGain didn’t miss a beat from the morning who stormed to the front of heat 1 to win easily, however in heat two after trying to pass Peter John took a nasty fall, which put him out of the heat and had to get rescued back to the beach. In heat 3 McGain again had a flying start on this TR-7 7.0 and lead all the way to the finish but was closely followed by Kai Hopf in second and Mike Yasak in third place. So it came down to the final heat of the day decide the winner, McGain couldn’t afford any mistakes and took charge of the start, flying to the first bouy well ahead of the pack, rounded each mark with precision control and went on to win the final heat and took the State Championship for the third year in a row. Kai Hopf finished second while an ecstatic Mike Yasak saved his best form for the afternoon finished in third place.